Extended pasta making with more time to perfect. Parrs Wood High School, Wilmslow Road, East Didsbury, Manchester, M20 5PG. Italian head pasta chef Marcello runs Master Pasta making workshops for Piccolino restaurants across the UK, and makes fresh pasta for top London chefs. In this new 6-hour masterclass, Marcello will teach you how to create the perfect fresh pasta from scratch, as well as different sauce-making techniques. The extra time built into this extended workshop with give you more opportunity to develop your technical skills around ideal dough consistency, different types of pasta dough, rolling, shaping & cutting and mess-free filling, and there is more time for Marcello to give you one-to-one tuition with any difficulties. 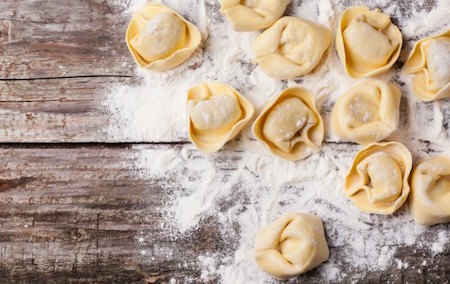 By the end of the day, you’ll come away with a whole array of new skills you can’t get from a cookery book and the confidence to tackle fresh pasta from scratch any day of the week, saving yourself a fortune on deli prices into the bargain!